A Star is Born hits you with the emotional ferocity of a hurricane. I genuinely wanted to stand and applaud after every musical performance and was completely swept up in Bradley Cooper and Lady Gaga’s intoxicating romance. Everyone’s new #relationshipgoals should be to find someone who looks at you the way those two look at each other in each and every frame of this movie. There’s a potential for more here, however, which goes unrealized, not enough to ruin things, but still noticeable. 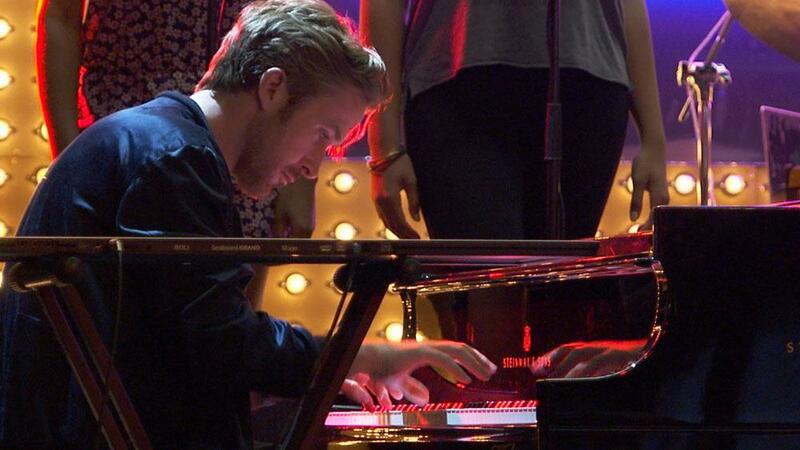 So says Bradley Cooper’s Jackson Maine in one of the widely-shared clips from A Star is Born. He’s speaking to Lady Gaga’s Ally, a struggling waitress/drag club performer he’s just met and pretty much fallen instantly in love with. It’s the start of a message which recurs throughout the rest of the film – have something to say, and say it in a way people will want to hear. Lady Gaga can really, really sing. Also, she’s self-conscious about her nose. The male ego is a fragile thing. Growing up through trauma never really leaves you. On the surface, that’s just about the totality of insight writer-director-actor Bradley Cooper’s A Star is Born aims for. It tells an achingly familiar story of love gained and lost and the dual rise of one star and fall of another. When Ally ascends into stardom thanks to her whirlwind romance with rockstar Jackson Maine (Cooper, speaking in a mumbly, low, countrified Eddie Vedder voice), she is quickly fed into the music industry’s pop star machine. Gone is the genuine-looking, natural-haired girl who writes love ballads and soaring rock songs and gets by on her pure, undeniable musicianship. Newly in her place is a heavily made-up, dyed-hair pop star with backup dancers, dance-ready tunes about dudes and their text messages, and a sexualized image. There’s rich potential here for a timely commentary about what it means to be a female pop star and how exactly women are packaged for success. But Cooper, Will Fetters, and Eric Roth’s script more acknowledges this particular reality than offers a pronounced viewpoint on it. Both Jackson and Ally express some apprehension over this new direction in her career and lip service is made to being true to who you are in your soul. 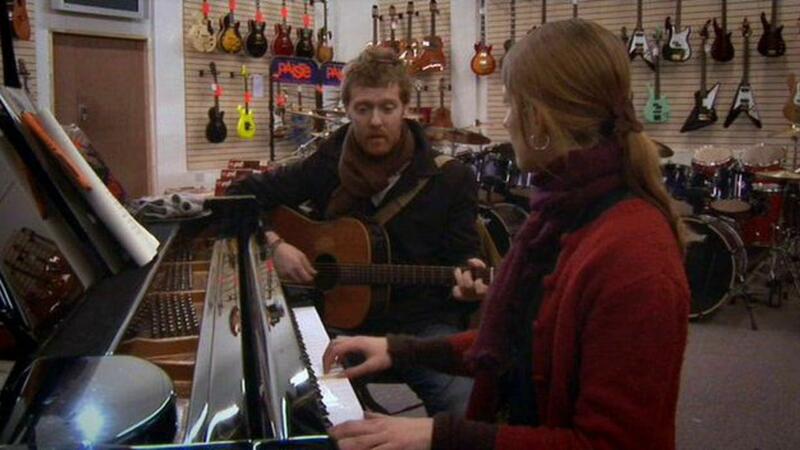 That Begin Again-like moment where she rejects the machine, however, never truly happens, at least not on-screen. That’s because A Star is Born isn’t La La Land. There is no diatribe on the corruption and commercialization of jazz. This isn’t a John Carney movie either. It’s not Once, Begin Again, or Sing Street where the entire narrative is simply about the joy of discovery and young love or companionship through music. A Star is Born does that, but only for around 40 minutes – 40 magical minutes, I might add, with fly-on-the-wall concert footage serendipitously filmed at actual Lady Gaga concerts. But, then the story quickly marches toward its second half where the madly-in-love couple endure the slings and arrows of success and fame. Traumatized childhood memories are shared. Relationships fray. Pop star sexism goes acknowledged, but underexplored. Devious music producers get in the way. And the script seems to be searching for a fresh way to actually finish the story. I didn’t personally like what they decided on. Of course, this is the fourth film version of this particular story about the man who discovers the next big thing and then falls from grace due to alcoholism as his discovery outshines him. The first two versions – 1937’s Janet Gaynor vehicle and 1954’s Judy Garland classic – involved a fading, male movie star and an aspiring actress. The most recent, the 1976 version featuring Barbra Streisand and Kris Kristofferson, relocated things to the music industry. As was true back in ‘76, the main takeaway here is just how believable the leads are playing lovers. 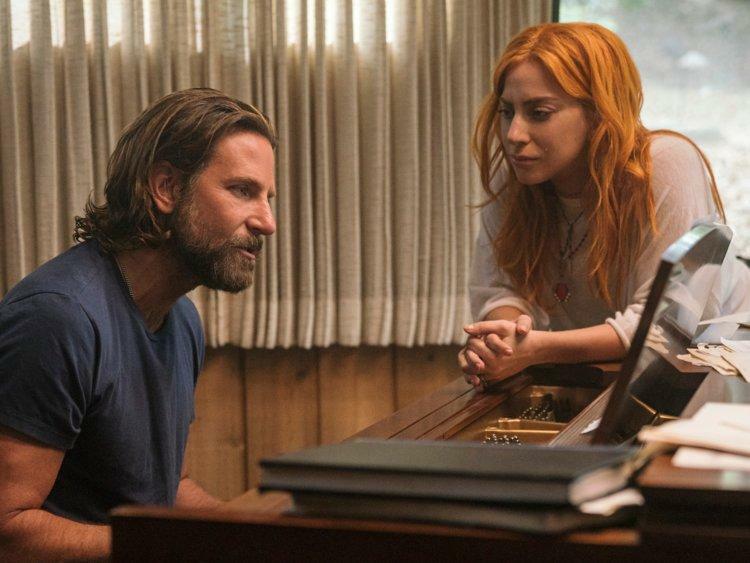 The film itself feels like Cooper’s love letter to Gaga, as both his character, his camera, and, by extension, the audience completely swoon the first moment – and every moment after that – she sings. Cooper, turns out, isn’t a bad singer or guitar player himself. The two harmonize together on screen, both musically and spiritually, and deliver a love story which audiences will be revisiting over and over again for years. And maybe that’s where Cooper sticks true to the movie’s message – have something to say, and say it in a way people will want to hear. Maybe audiences don’t really want overt commentary about what it truly means to be a star today. Maybe leaving that as subtext is enough. Maybe we just want to watch an old-fashioned Cinderella/love story. When this Cinderella sings like Lady Gaga, it’s impossible to resist. Excuse me. I have to cut this off now and go listen to “Shallow” for the fifteenth time this morning. Cooper and Sam Elliott, who plays his older brother, practically blow out the bass in the speakers with their dual baritones. Also, if you told me they were literally mumbling nonsense at each other and not actual words I’d half believe you. I know he’s not actually a rock star, but Lady Gaga needs to bring Bradley Cooper on a special tour with her where they mostly just play songs from the A Star is Born soundtrack. Make that happen, world. Look for A Star is Born to compete in just about every major category during awards season – Picture, Director, Screenplay, Actor, Actress, Editing, etc. In fact, current consensus among industry pundits pegs this as the Best Picture front runner. Either way, good luck to anyone hoping to pry Best Song away from them.